Author Stephen Chbosky accomplished quite a feat when he wrote his debut novel, the wildly popular young adult coming-of-age tale The Perks of Being a Wallflower. 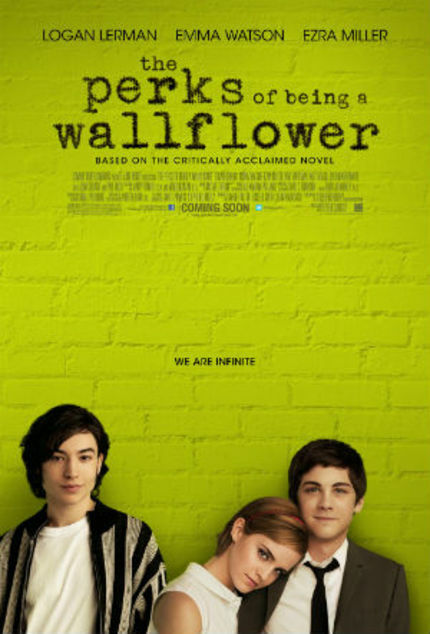 I imagine once the book gained its popularity and the idea of a film adaptation became a possibility, Chbosky thought "Man, I wouldn't want to be the person who has to adapt this thing!" considering the novel's epistolary narrative structure, not to mention the towering number of devoted Wallflower fans. Turns out Chbosky ended up being that person, not only adapting the screenplay but also directing the film, which stars Logan Lerman, Emma Watson, and Ezra Miller, and is now playing in limited release across the U.S.
We recently sat down with the man of many hats -- and one of the nicest guys to boot -- about the love labors of adapting his own work for the screen, second chances, paying service to the fans, and more! Check it out...come on, don't be shy! So I really recommend you﻿ see this movie, it's amazing! !